Born in 1963, Carina Scott is both artist and musician, and all the while a breeder of quality Irish sport horses. 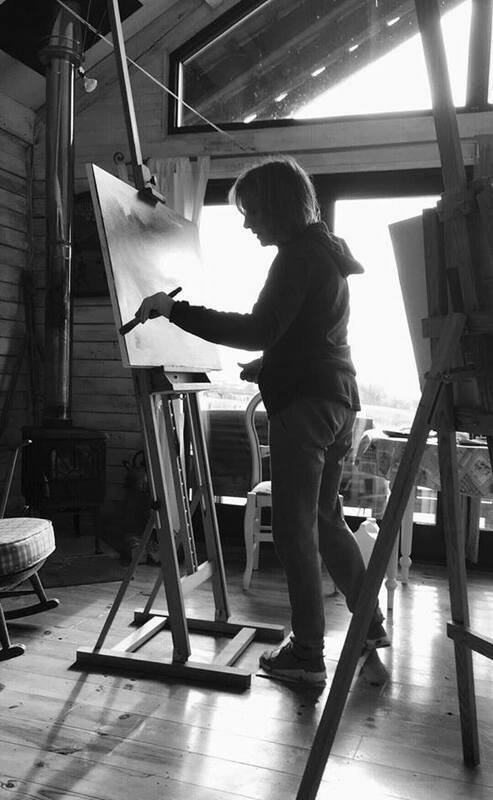 With a strong musical background, Carina, as an artist & painter, is largely self taught and her pedigree as a creative artist mirrors her success with her horses at the RDS and with her Connemara ponies at the French Championships. Painting in both Ireland and France, her adopted country, Carina Scott is continually inspired by the landscape & light, by the seasons and the sensuality of nature all around her. Her work is distinctive and vibrant, an Irish palette, influenced by the strong light and colour of southern Europe. With her bold use of paint, Scott captures the light and mood of the Irish landscape and of the creatures she portrays. Her use of paint and her palette knife work are exquisite, testament to the flair & vigour & enthusiasm, with which she constantly works. ​Her reputation as an artist has grown steadily, with successful shows in Ireland and abroad and the success she has enjoyed, is well deserved. If you would like information about any of my paintings or upcoming exhibitions and auctions, please contact me.